At the end of 2017, Venezuelan president Nicolás Maduro announced plans to establish a national cryptocurrency called the Petro, backed by the country’s oil reserves. Venezuela’s economy has been in a perpetual state of crisis for many years – the International Monetary Fund has tipped Venezuela’s inflation to reach 2,300% this year. The development of a state-issued cryptocurrency, in theory, would alleviate some of this pressure brought on by US sanctions. It would provide a quicker means of payments for suppliers, vendors, and investors, the president claimed. It was a strange decision for the leader to make. Venezuela has been anything but accommodating to bitcoin and cryptocurrency. Authorities have shuttered exchanges and mining operations, arrested bitcoin users, and the government has established a register of cryptocurrency miners and their equipment to keep track of who is mining coins. 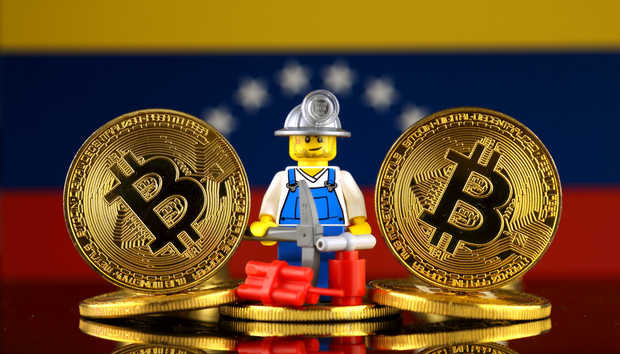 The state’s heavily subsidised electricity services made it possible for miners to mine bitcoin in the hopes of attaining some of the digital coins to exchange for US dollars and to purchase essentials online. Venezuela’s bolívar has plummeted in value in the last few years.